I finished the Three Body Problem series, which left a vacuum in my nightly entertainment slot. I picked up Ball Lightning in hopes that it would be equally amazing, but it didn't quite hit the spot. The story took quite a bit of time to get started with the hard science fiction, I was hoping for. That said, once it started, it got quite good. 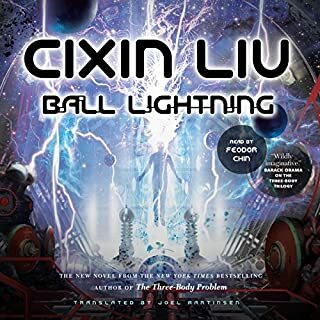 Ball Lightning is a prequel to TBP, and the introduction is there on a few occasions, if you're familiar with that storyline. The performance on the narrator is good, but I couldn't quite get used to his portrayal of the female characters. Overall, though, he did well. I highly recommend this book for any hard science fiction fans out there. 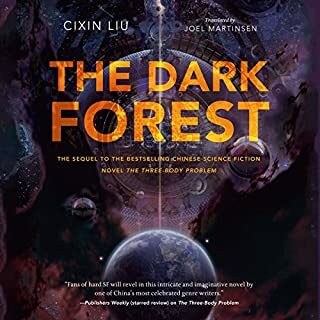 Cixin Liu is a master of his craft, and while I would have liked some differences in the storyline, it is still a great story. 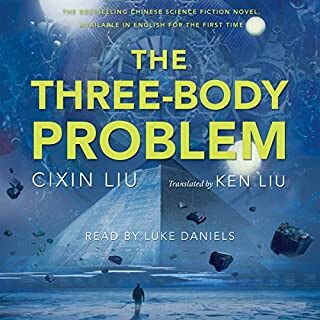 This near-future trilogy is the first chance for English-speaking listeners to experience this multiple-award-winning phenomenon from Cixin Liu, China's most beloved science fiction author. In The Dark Forest, Earth is reeling from the revelation of a coming alien invasion - in just four centuries' time. The aliens' human collaborators may have been defeated, but the presence of the sophons, the subatomic particles that allow Trisolaris instant access to all human information, means that Earth's defense plans are totally exposed to the enemy. Great part of the fantastic trilogy. <br />An excellent continuation of the storyline! The story was amazing and had me almost spellbound to my phone for the couple of days it took me to finish the book. The visuals in the book are so descriptive, I can vividly follow along. I could easily relate to the feelings of the characters. The author is truly a master of his craft. The only downside was the performance of the narrator. After the narrator from the first book, this narrator was quite monotone. Absolutely loving this book. The reader is kept at the edge of their seat throughout the story. While some parts of the story are obvious, other parts are total surprises. The narrator is doing a great job using different voices to portray the different characters making it easy to follow along. I'm very much looking forward to learning more about the relationship between the two worlds. As always, Robert Cialdini doesn't dissapoint. This book covers so many areas of the psychological steps, one goes through when we're being sold to. This is a highly recommended read, whether you're on the receiving end of sales (e.g. a buyer), or you're in sales. 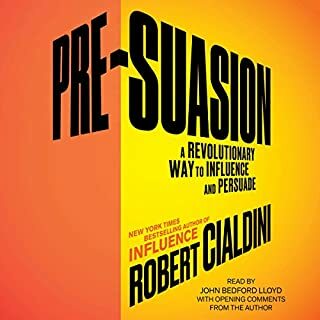 Robert Cialdini offers explanations in easily digestible portions and with examples that makes it very easy to follow along and even relate to. And lastly, even if you are not in sales or a professional buyer, this book is still a must read. Learning how we work is always fun, and it can help you in many day-to-day scenarios.